Today, I will be discussing the teaching and learning of language and literacy from a social perspective. Clarity is my aim. I intend to continually point to those factors which should be most obvious but which can be lost in practice and in abstraction if gentle reminders are not provided. For - in truth - it is when this topic becomes clouded or taken for granted that we - as teachers and parents - suddenly feel unequipped to support learning in the most natural of ways. We should aim to introduce learners to words, to direct the learner's attention to meanings, to pronunciations, to uses, to stories, to histories, to information and ideas. Do not get me wrong; every use of language and literacy is highly complex and these instances require the orchestration of a myriad of skills that are deployed virtually automatically by the expert user. That much is true. That said, the child (or emerging learner) is not faced with the prospect of developing such complex skills from the get go. At least, the emerging learner should not be faced with such a prospect. Instead, there should be a progressive, temporal dimension to this learning where the child is supported by others to develop foundational skills which lead into competencies which lead to mastery which leads to further disciplinary practices. This does place a certain degree of pressure on one to gain skills in a timely manner. Learners benefit from the time and enabling environments to gain a command of the salient features of language to build confidence in certain familiar uses of language, literacy and - also - numeracy before being faced with more advanced forms, content and uses. For instance, "[a child in a] highly verbal and emotionally stable family environment greatly benefits in vocabulary and reading. In English, socioeconomic factors also influence children's vocabulary size." (Zhang, et al, 2013, p. 665). Beginning readers benefit from instruction in "[constrained] skills early and persistently by teachers and parents.” (Paris, 2005, p. 199, emphasis added). Constrained skills, which include phonological awareness, alphabetic coding skills, and reading fluency (i.e., automaticity in word recognition) help set the stage for reading development”, which relies on the progressive development of unconstrained skills - such as vocabulary, comprehension and compositional skills - that "develop more slowly ... as [learners] continue to develop over the course of a lifetime" (Tunmer, et al, 2013, p. vi). Therefore, I will not encourage new-fangled approaches to literacy. I will not promote a focus on one aspect of language and literacy learning over others. I will not be encouraging the easy way out. Instead, I will encourage best practices. I will encourage the long, faithful journey, which is one that requires the patient and progressive development of skills, meanings, and uses. In the developmental perspective of language and literacy, we note how the child passes "through successive stages of literacy, [and] in each [stage] the reading and writing tasks change qualitatively and the role of the instructor has to change accordingly." (Chall, 1996 as referenced in Snow, 2004) I will be encouraging the deployment of a comprehensive mixture of activities, and a balance of lessons that will change in emphasis as the learner develops, because "the end of reading development doesn’t exist; the unending story of reading moves ever forward, leaving the eye, the tongue, the word, the author for a new place from which the ‘truth breaks forth, fresh and green,’ changing the brain and the reader every time.” (Wolf, 2008, p 162). Jabali Sawicki/@jsawicki1/Instagram: Original caption via Instagram: #pscommute 5:15 PM on the C Train. 34th Street, Penn Station back home to Fort Greene, Brooklyn. Giving the gift of reading. A magical moment between mother and son. It may seem like just another subway ride, but with a book and an imagination, the adventures are limitless. Therefore, in the social view of language acquisition, the learner must be "a biologically and socially adept human being ... susceptible to training ... [with] fundamental trust [in] the authority of the teacher ... [engaged in] socio-linguistic interaction ... transmissible ... through enculturation" (Moyal-Sharrock, 2010, pg 6 - 7). This active, social engagement requires adequate time and practice in order to transforms one's capacity to see, use and conceptualise language in fluent and meaningful ways. "Wittgenstein's attack on the very concept of a private language undermines that all by oneself and without the possibility of correction by others," one is able to garner skills, experiences and/or mental states that lie in the public domain. (Hobson, 2008, pg 2 as quoted in Moyal-Sharrock, 2013, pg 7). "The child need[s] ... to have human instincts and reactions as well as a carer who can train it into developing those instinctive reactions." (Moyal-Sharrock, 2010, pg 6). This human, interactive element is essential in the constructivist model of learning. It is exemplified in the image painted by esteemed literacy expert Maryanne Wolf, “[a] vivid memory of those days centres on Sister Salesia, trying her utmost to teach the children who couldn’t seem to learn to read. I watched her listening patiently to these children’s torturous attempts during the school day, and then all over again after school, one child at a time ... [One such child] - my best friend, Jim - ... looked like a pale version of himself, haltingly coming up with the letter sounds Sister Salesia asked for. It turned my world topsy-turvy to see this indomitable boy so unsure of himself. For at least a year they worked quietly and determinedly after school ended.” (Wolf, 2008, p 111 - 112) This is an image that defies a one-size-fits-all pedagogy and replaces it with one that is responsive, progressive and constructive. The adult initiates the learner into the skills by gradually releasing control over prior skills whilst carefully introducing more advanced engagement. This highly dynamic and interpersonal process challenges any pedagogy that remains static or which devalues the human agency of both teacher and pupil. A constructivist pedagogy calls for practice, mastery of the fundamentals and due diligence in assessing and preparing for next steps. Ultimately, this leads me to the following cryptic though important observation made by Moyal-Sharrock (2010), "[in the] social view of language acquisition, the problem of learning is readily deproblematiced" (pg 6). In the social view, learning is no longer a mystery. All is laid out in plain view. This does not mean that the components of language are not complex. We must be ever diligent on issues of equity, both in enhancing opportunities and respecting diversity. We must be conscious of the socioeconomic, motivational and neurocognitive factors that are brought to bear on learning. We must be mindful of the impacts of poverty, discrimination and instability. It is just that the conditions of successful learning are no longer problematic (or mysterious). Certain enabling experiences are required with suitable learning materials, opportunities to practice and more. The conditions may be multifaceted, long and intricate, but the solution is laid out in plain as can be: apprenticeship and practice by no other name. There is no magic bullet. There are no quick fixes. We shouldn't be looking for a pill or neurosurgery or a microchip in the brain. Altering the brain’s gray mass will not replace the need for regular, purposeful, progressive interactions with others deliberating over actual content and linguistic purposes. In short, a social, material and temporal view of language acquisition dispels the view that there must be something queer or mysterious about learning. This solution (or this dispelling of the problem) may not be welcome news to all. Language and literacy learning require time, progressive practice, diligence, expertise, and opportunities, which are not equally distributed amongst us all. However, the elimination of the problem does away with the need to search for the next best thing. It asks us to get to work, get to the rough ground, know the learner, create opportunities, set mutual goals, and go about comprehensive steps to maintain motivation, relevance and rigour so learning occurs, hesitantly at first and with greater ease and purpose in time. Chall, J.S. (1996). Stages of reading development. 2nd Edition. Fort Worth: Harcourt Brace College Publishers. Hobson, P. (2008) 'Wittgenstein and the developmental psychopathology of autism' in New Ideas in Psychology, 1-15. Macedo, D. (2001) Foreword. In P. Freire, Pedagogy of freedom: ethics, democracy and civic courage (pp. xi - xxxii). Marylands: Rowman & Littlefield Publishers. Moyal-Sharrock, D. (2010). Coming to Language: Wittgenstein's Social 'Theory' of Language Acquisition. Paper presented at the SOL Conference, Bucharest 6-8 May 2010. Moyal-Sharrock, D. (2013). Wittgenstein Today. Paper presented at the International Conference on Wittgenstein and Contemporary Philosophy and the Inaugural Meeting of the Chinese Wittgenstein Society, Beijing Normal University 12-13 October 2013. Paris, S. G. (2005). 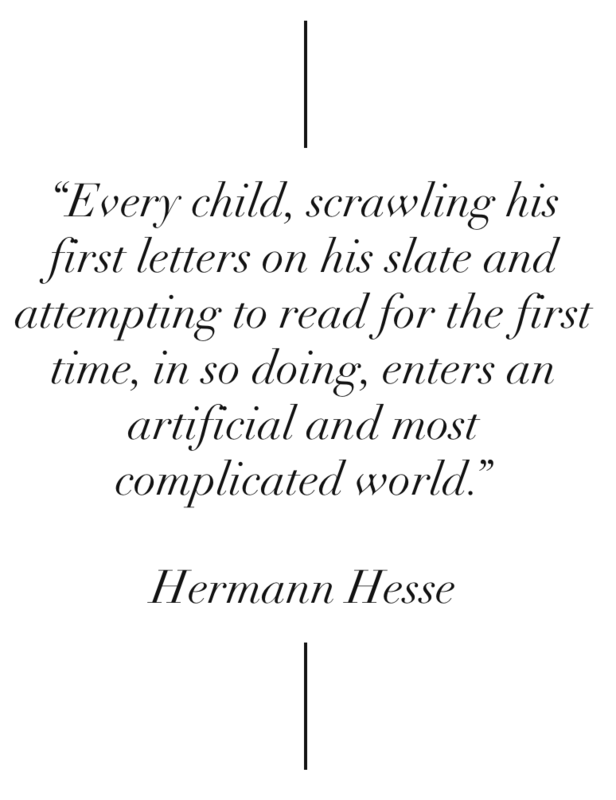 Re-interpreting the development of reading skills. Reading Research Quarterly, 40, 184-202. Snow, C. (2004) What counts as literacy in early childhood? In K. McCartney & D. Phillips (Eds), Handbook of early child development. Oxford: Blackwell. Tunmer, W., Chapman, J., Greaney, K., Prochnow, J., and Arrow, A. (2013). Why the New Zealand National Literacy Strategy has failed and what can be done about it: evidence from the progress in International Reading Literacy Studies (PIRLS) 2011 and Reading Recovery monitoring reports. Massey University Institute of Education. Retrieved from http://www.massey.ac.nz/massey/fms/Massey%20News/2013/8/docs/Report-National-Literacy-Strategy-2013.pdf on 11 December 2013. Verhoeven, L. and Snow, C. (2001). Literacy and motivation: bridging cognitive and sociocultural viewpoints. In Verhoeven, L. and Snow, C. (Eds. ), Literacy and motivation: reading engagement in individuals and groups (pp. 1- 22). New Jersey: Lawrence Erlbaum Associates Publishers.